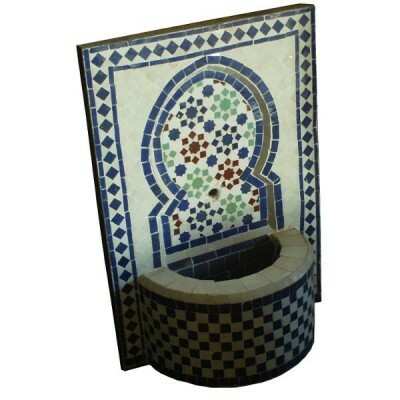 Small Wall zellij Fountain of Morocco, small stylish fountain for inside or outside garden. Hand-crafted in Marrakesh. Your Moroccan Zellij Fountain comes with a water pump using a closed system. Just enjoy it.